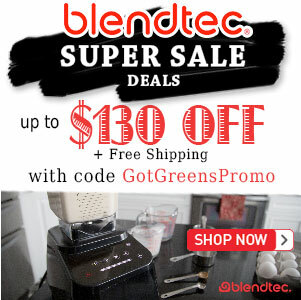 Blendtec Designer Series Review - Got Greens? See Our Current » Complete Blendtec Model Review. Blendtec has taken their Total Blender to the next level with the release of the Blendtec Designer Series. Free shipping & the best price no coupon needed. How is the Blendtec Designer Series similar to the, now named, Total Blender Classic Series? Primarily it is important to note that the motor technology is the same. Drawing 1560 Watts at 13 Amps, the Designer Series blender functions the same as the Classic Series with respect to power and performance. It even comes packaged with the same WildSide Jar that comes standard with the Classic WildSide blender. The program features also have remained the same. While the Total Blender Designer Series does have pretty icons, it continues to offer essentially the same built-in 6 program cycles as the Classic Series: Smoothie, Ice Cream, Ice Crush, Whole Juice, Soups and Batters. Design: The main difference between the Blendtec Designer Series and the Total Blender Classic lies primarily in the user control pad redesign. The Blendtec Designer Series has completely done away with push buttons and now features a touch screen much like an Apple iPhone or iPad. Control: In addition to the touch icons provided for using the program cycles, the control pad includes a touch slider interface allowing you to adjust to any speed by sliding your finger left to right or to jump to any speed by touching anywhere on the slider. 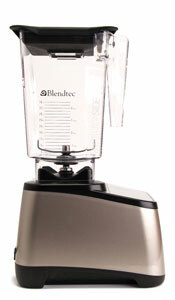 Also in its redesign, the Blendtec Designer Series introduces a new air-flow design that keeps the motor running cooler. This results in a longer lasting motor. Noise and Color: Lastly, aside from the obvious change in shape the new Champagne Metallic color, the defining difference is that Blendtec has claimed to have engineered “the quietest blender [they’ve] ever built for home use”. Whether or not that just means it is the same “quietness” as the Classic Series blenders remains to be seen as Blendtec has not provided any data to compare noise levels and we have not yet had the opportunity to determine if it is any quieter than their other blenders. As the saying goes, beauty is in the eye of the beholder. The new look is different and you are either going to like it or not. The nice thing they were able to do in its redesign is keep the height the same low profile as the Classic Series that Blendtec is know for. The touch pad is very sleek and pretty eye candy but after a little getting used to, it does offer a better way to use a Blendtec. I foresee this slowly becoming adopted as a “norm” for high-performance blender interface. At $499.95, (now ONLY $380) the bottom line is, if you like the new look of the Designer, you will be paying a little more for the new control interface and “quieter” operation than if you were to purchase a Blendtec Classic Series. How does the Blendtec Designer Series compare to a Vitamix? Secure your purchase with Free Shipping and… » ORDER YOUR NOW! What do you think of the new Blendtec Designer Series? 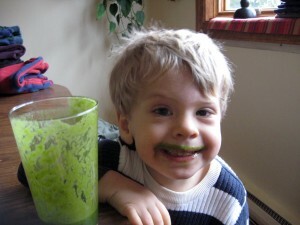 I appreciate your comparison of the Blendtec and Vitamix! I just won a Blendtec Designer Series w/Wildside Jar and Twister Jar. But prior to that, I just purchased the Vitamix Pro Series 500. I was going back and forth between the two, and this site helped me decide to get the Vitamix. Now I’m torn… I haven’t used either one yet (haven’t received my Blendtec, and not sure I should open the Vitamix if I’m returning it). There are not many reviews on the new Designer series yet. 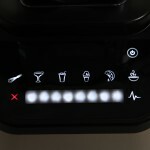 The Vitamix Pro 500 has both preset settings and a variable control. Have you used the Vitamix Pro Series 500, and do you think it’s a better machine than the new Blendtec Designer Series? Thanks for any input you can give me to help me make my decision. 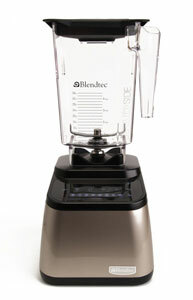 (I don’t want to choose the Blendtec over the Vitamix just because I won it… I want to choose the better blender). Both are amazing blenders, so you can’t make a bad choice among them. Which is “better” is more of a personal choice. 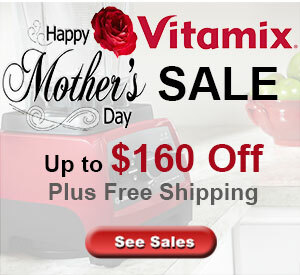 Vitamix has a 30-day no risk return so I say try them both and choose the one you like more. Is it quieter at least? Their website touts that the new one is not as loud. Yes, it is “quieter” but not much. It’s hard to tell the difference unless you run both side by side. The smoothie setting is 37 seconds: after 7 seconds it ramps up to ear splitting levels, which make you question the need for ear protection (really!). Furthermore you wonder if you are disturbing the neighbours… I am always tempted to stop the remaining 30 seconds short just because it is so damn loud. We’re talking industrial grade power tool levels. But it does blend the crap out of food so… take your pick. You forgot to mention the fact that the designer series is now 1560 Watts compared to the prior 1500. Thank you for the feedback Mike; both the Blendtec Designer Series and the Classic Series are 1560 watt blenders. There is no difference in the power that they use.